Current status: Released on March 28, 2019 to police custody, home March 29. Must check in at police station nightly. Alaa Abd El Fattah is a prominent Egyptian coder, blogger and activist who has been detained under every Egyptian head of state in his lifetime. In reporting on his case, Reuters called Alaa an “anti-Mubarak activist,” but his activism spans many issues—and governments. He protested the rule of Mubarak, but has also stood against military rule and the crackdowns initiated by former president Mohammed Morsi and current president Abdel Fattah el-Sisi. As a free software developer, Alaa has always been a vocal advocate for the creation and distribution of digital technologies that let everyone to speak freely and privately. In 2004, after organizing a Linux installfest for curious computer users, he co-founded the Egyptian GNU/Linux Users Group. As a Drupal developer, he built platforms for others to share their opinions; as a lead developer on the FLOSS translation utility Pootle, he made it easier for users around the world to use and contribute back to the shared commons of open source software. His dedicated support for the Arab Techies group and the Arab Digital Expression Summer Camps connected technologists across the Middle East with each other, and with a new generation of students. Alaa's determination to deploy his understanding of new technology to amplify the message of his fellow Egyptians made him a prominent global voice during the Arab Spring. His online visibility made him a frequent target for the Egyptian authorities, even as it occasionally protected him from retaliation. Alaa was first arrested in 2006 under then-President Hosni Mubarak for participating in a peaceful protest in support of an independent judiciary on charges of “insulting the president.” Charged with "insulting the President," he served 45 days before being released amidst a global campaign for his freedom. In 2011, Alaa was again arrested, and charged with “inciting violence” under the ruling Supreme Council of the Armed Forces (SCAF), in conjunction with the Maspero massacre, a violent attack by the army on protesters that left 27 civilians and one soldier dead. No evidence was produced at the trial, and Alaa was released after two months following international pressure. On November 28, 2013, police raided the Cairo home of Alaa’s family. Under a government overseen by then-General Abdel Fattah el-Sisi, he was arrested and detained for 115 days without trial. Along with more than 40 international organizations and individuals, we called on the Egyptian government to honor its commitments under the International Covenant on Civil and Political Rights (ICCPR). In June 2014, accused of violating Egypt's protest law and attacking a police officer, he was convicted in absentia and re-sentenced to fifteen years in prison, after being prohibited from entering the courthouse. Following an appeal, Abd El Fattah was granted a retrial, and sentenced in February 2015 to five years in prison. The sentences handed down to Alaa occur amidst a broader crackdown on freedom of expression, assembly, and opinion. In August 2014, EFF and the Media Legal Defence Initiative filed a petition to the United Nations Working Group on Arbitrary Detention (UNWGAD) on behalf of Alaa. In 2016, the UNWGAD declared Alaa's detention (and the law under which he was arrested) a violation of international law, and called for his release. In November 2017, Egypt's highest court of appeal upheld the five-year sentence handed down to Alaa in 2015 for his participation in peaceful demonstrations following the 2011 uprising. Alaa was due to be released on March 17, 2019, but his release was extended by ten days. On March 28, 2019, Alaa was finally released, first into police custody then to his family. As part of his parole, he will have to spend every night of the next five years at a police station. 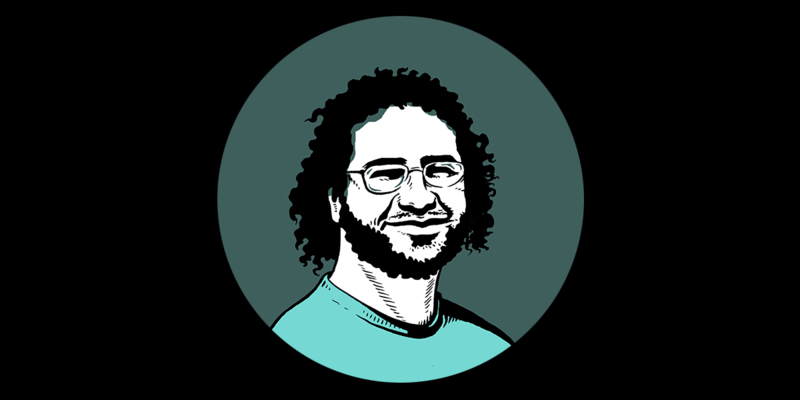 A campaign to end Egypt’s protest law contains information and updates on a variety of cases, including Alaa’s, and the 100 Days for Alaa website—launched 100 days prior to his intended release—offers a multitude of information, including Alaa's own writings from prison. Although Alaa has been targeted for his prominence and ability to relay and amplify the truth through digital means, his treatment is emblematic of the plight that many Egyptian activists now face.